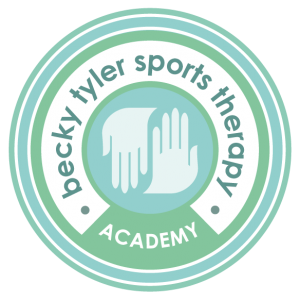 This is a 4x day Sports Injury Acupuncture & Cupping Therapy CPD course is taught by renowned acupuncturist Bernard Nolan. This course is an in-depth CPD course covering the theory and practical elements of Acupuncture techniques & Cupping Therapy techniques. Tutor; Taught by the renowned Bernard Nolan who is a leading expert in his field and has worked with most premiere professional football clubs in the UK. Bernard is qualified in oriental medicine after 5yrs study in Japan and Korea and has been teaching Acupuncture and Dry Needling for many years. Entrance requirements: In order to take part in this course, you must already have acquired a Level 3 diploma in massage / sports massage or equivalent. We will ask you to provide a copy of your qualification. Please enquire if you are uncertain about your qualification. Course Structure; The course will consist of 4x days of theory and practical. The aim of this CPD course is to produce trained, competent and confident practitioners in Acupuncture & Cupping therapy techniques enabling them to complement their current treatment practices offering a comprehensive treatment approach with a full understanding of when and where to apply acupuncture & Cupping but more importantly when not to. You will be introduced to the use of acupuncture & cupping therapy for the purpose of muscular pain relief via a blend of theory and practical components. There is a substantial amount of practical work focussing on the many aspects of acupuncture & cupping therapy where you will gain adequate practice to hone your skills enabling you to use all the techniques shown within your practice. After the course you will be required to complete a case study, which you will have 2months to complete. This will be thoroughly explained during the course. Cupping Therapy & Shiatsu – 1 Day – BOOK NOW Osteopath, Physio, Chiroprator or Sports Massage Therapist? ?